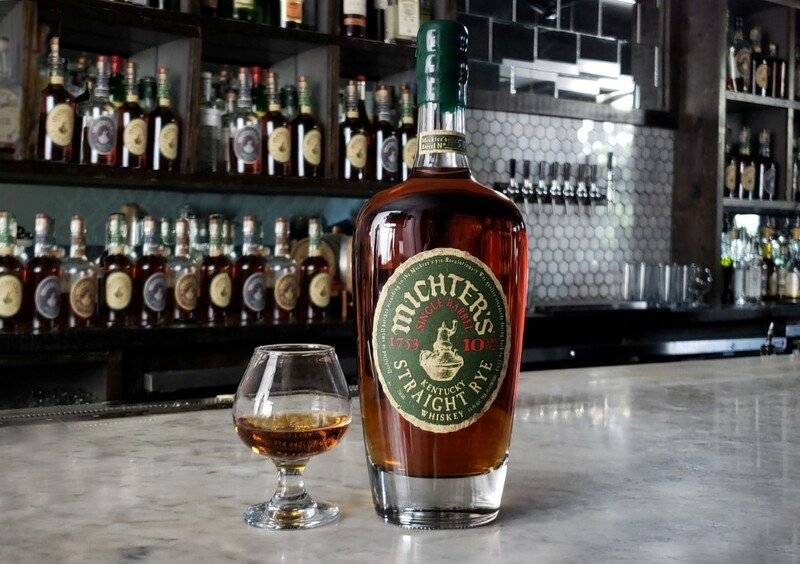 Michter’s Master Distiller Pamela Heilmann has approved the 2018 release of Michter’s 10 Year Single Barrel Kentucky Straight Rye. These barrels were selected from Michter’s stocks of aging whiskeys by Master of Maturation Andrea Wilson, who assessed them with Ms. Heilmann. So without further ado, let’s taste this guy. This is a fairly classic rye expression, hitting all the usual highlights. The nose is lively with vanilla, caramel, and butterscotch, but heavy with an oilines — that lemon Pledge note I picked up in this whiskey’s 2017 release. But unlike in 2017, that slight industrial character fades more quickly on the tongue, letting the whiskey’s ample fruit, spice, and dessert-like notes shine. Some of these flavors are reprises of ’17 — apricots and sesame oil, particularly — though notes of toasted coconut, maple syrup, and a bit of toffee are new — and welcome — additions. The finish is soothing and lengthy, though a bit gummy at times, with some canned fruit notes taking hold, but it’s the spice bill — cloves, cinnamon, some red pepper — that finally shines through here and ultimately carries the day, the finish lasting for what seems like minutes. 92.8 proof. Reviewed: Barrel #18E560. Michter needs to rethink the price of this offering. Both Masterson’s and Whistle Pig have 10 year old ryes that cost less than half the price of this one.